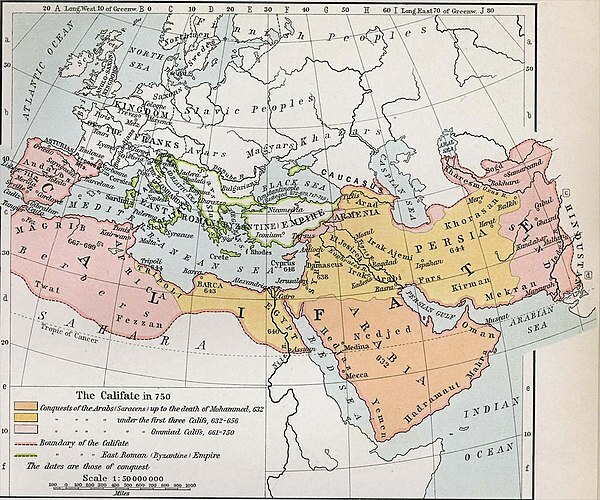 The Umayyad Caliphate (Arabic : ٱلْخِلافَةُ ٱلأُمَوِيَّة‎, translit. al-Khilāfatu al-ʾUmawiyyah), also spelt Omayyad,  was the second of the four major caliphates established after the death of Muhammad. The caliphate was ruled by the Umayyad dynasty (Arabic : ٱلأُمَوِيُّون‎, al-ʾUmawiyyūn, or بَنُو أُمَيَّة, Banū ʾUmayya, "Sons of Umayya"), hailing from Mecca. 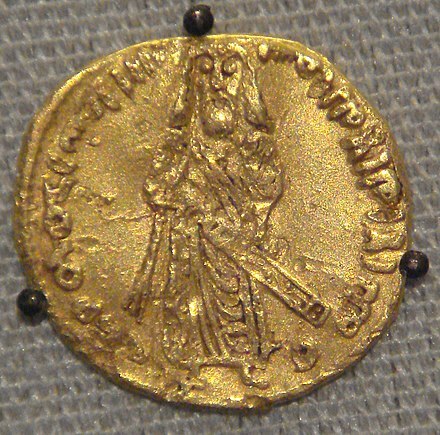 The third Caliph, Uthman ibn Affan (r. 644–656), was a member of the Umayyad clan. The family established dynastic, hereditary rule with Muawiya ibn Abi Sufyan, long-time governor of Syria, who became the sixth Caliph after the end of the First Muslim Civil War in 661. After Mu'awiyah's death in 680, conflicts over the succession resulted in a Second Civil War  and power eventually fell into the hands of Marwan I from another branch of the clan. Syria remained the Umayyads' main power base thereafter, and Damascus was their capital. The Umayyads continued the Muslim conquests, incorporating the Transoxiana, Sindh, the Maghreb and the Iberian Peninsula (Al-Andalus) into the Muslim world. At its greatest extent, the Umayyad Caliphate covered 11,100,000 km2 (4,300,000 sq mi)  and 33 million people,  making it one of the largest empires in history in both area and proportion of the world's population. The dynasty was eventually overthrown by a rebellion led by the Abbasids in 750. Survivors of the dynasty established themselves in Cordoba in the form of an Emirate and then a Caliphate, lasting until 1031. 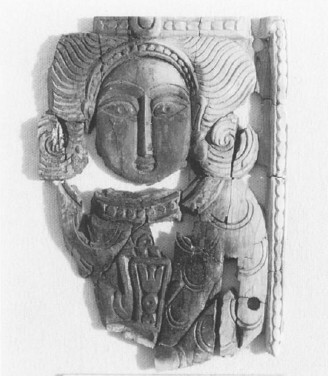 Maysūn bint Baḥdal, is noted as a wife of Caliph Mu‘āwiya I, and as mother of his successor and son Caliph Yazīd ibn Mu‘āwiya. In this capacity, she had a significant role in the politics of the Umayyad Caliphate. Yazīd ibn Mu‘āwiya , commonly known as Yazid I, was the second caliph of the Umayyad caliphate. He ruled for three years from 680 CE until his death in 683. His appointment was the first hereditary succession in Islamic history and his caliphate was marked by the death of Muhammad's grandson Husayn ibn Ali and the start of the crisis known as the Second Fitna. Umayya ibn Abd Shams was the son of Abd Shams and is the progenitor of the line of the Umayyad Caliphs. Anti-Umayyad polemic says that his name is derived from 'afa' a diminutive of the word for slave-girl and instead of being the legitimate son of Abd Shams, Ibn al-Kalbi claim that he was adopted by him, however Ibn al-Kalbi is acknowledged as unreliable reporter. The clan of Banu Umayyad as well as the dynasty that ruled the Umayyad Caliphate are named after Umayya ibn Abd Shams. ‘Abd Manāf al-Mughirah ibn Quṣai was a Quraishi and great-great-grandfather of Islamic prophet Muhammad. His father was Quṣai ibn Kilāb. Mecca, also spelled Makkah, is a city in the Hejazi region of the Arabian Peninsula, and the plain of Tihamah in Saudi Arabia, and is also the capital and administrative headquarters of the Makkah Region. The city is located 70 km (43 mi) inland from Jeddah in a narrow valley at a height of 277 m (909 ft) above sea level, and 340 kilometres (210 mi) south of Medina. Its resident population in 2012 was roughly 2 million, although visitors more than triple this number every year during the Ḥajj period held in the twelfth Muslim lunar month of Dhūl-Ḥijjah. The Battle of Badr, fought on Tuesday, 13 March 624 CE in the Hejaz region of western Arabia, was a key battle in the early days of Islam and a turning point in Muhammad's struggle with his opponents among the Quraish in Mecca. 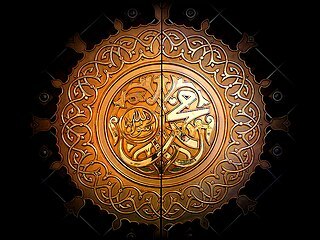 The battle has been passed down in Islamic history as a decisive victory attributable to divine intervention, or by secular sources to the strategic genius of Muhammad. It is one of the few battles specifically mentioned in the Quran. All knowledge of the battle at Badr comes from traditional Islamic accounts, both hadiths and biographies of Muhammad, recorded in written form some time after the battle. There is little evidence outside of these of the battle. There are no descriptions of the battle prior to the 9th century. ʿUtbah ibn Rabīʿah (c.563-624) was one of the prominent pagan leaders of the Quraysh during the era of Muhammad. He is the father of Abu Hudhayfa ibn 'Utba, Walid ibn Utbah, Hind bint Utbah and father-in-law of Abu Sufyan ibn Harb. Walid ibn Utbah was the son of Utba ibn Rabi'ah and brother of Abu Hudhayfa ibn Utbah and Hind bint Utbah. Just like his father, Walid was against Muhammad and his religion Islam. Abu Sufyan sought to exterminate the adherents of the new religion by waging another battle against the Medina-based Muslims only a year after the Battle of Badr. He did this to avenge the defeat at Badr. Scholars generally regard the Battle of Uhud (March 625) as the first defeat for the Muslims, since they incurred greater losses than the Meccans. After the battle, Abu Sufyan's wife Hind, who was also the daughter of Utba ibn Rabi'ah, is reported to have cut open the corpse of Hamza, taking out his liver which she then attempted to eat. In 629, however, within five years of the defeat in the Battle of Uhud, Muhammad took control of Mecca  and announced a general amnesty for all. Abu Sufyan and his wife Hind embraced Islam on the eve of the conquest of Mecca, as did their son (the future caliph Muawiyah I). The Umayyad's ascendancy began when Uthman ibn Affan, who had been an early companion, second cousin and son-in-law of Muhammad became the third Caliph. Uthman (644–656) did not establish a dynasty but placed some members of his clan at positions of power. Most notably, he appointed his first cousin, Marwan ibn al-Hakam, as his top advisor, which created a stir among the Hashimite companions of Muhammad, as Marwan (along with his father Al-Hakam ibn Abi al-'As) had been permanently exiled from Medina by Muhammad. Uthman also appointed his half-brother, Walid ibn Uqba, whom Hashimites accused of leading prayer while under the influence of alcohol, governor of Kufa  and appointed his foster-brother Abdullah ibn Saad as the Governor of Egypt, replacing Amr ibn al-As. Muawiyah also encouraged peaceful coexistence with the Christian communities of Syria, granting his reign with "peace and prosperity for Christians and Arabs alike",  and one of his closest advisers was Sarjun, the father of John of Damascus. At the same time, he waged unceasing war against the Byzantine Roman Empire. During his reign, Rhodes and Crete were occupied, and several assaults were launched against Constantinople. After their failure, and faced with a large-scale Christian uprising in the form of the Mardaites, Muawiyah concluded a peace with Byzantium. Muawiyah also oversaw military expansion in North Africa (the foundation of Kairouan) and in Central Asia (the conquest of Kabul, Bukhara, and Samarkand). Muawiyah was succeeded by his son, Yazid I, in 680. This hereditary accession was opposed by a number of prominent Muslims, most notably Abd-Allah ibn al-Zubayr, son of a companion of Muhammad, and Husayn ibn Ali, the younger son of Ali. The resulting conflict is known as the Second Fitna. Ibn al-Zubayr had fled Medina for Mecca, where he remained in opposition until his death. The people of Kufa invited Husayn to their city and revolt against the Ummayads. However, Yazid I prevented this alliance by having Kufa occupied  and Husayn and his family intercepted on their way to Kufa in the Battle of Karbala, in which Husayn and his male family members were killed. Word of Husayn's death fuelled further opposition movements, one centered in Medina and the other around Kharijites in Basra. In 683, Yazid's army suppressed the Medinese opposition at the Battle of al-Harrah and then besieged Mecca. During the campaign, widespread pillaging and the damaging of both the Grand Mosque in Medina and the Kaaba in Mecca caused deep resentment and became a major cause for censure of the Umayyads in later histories of the period. Umar is honored for his attempt to resolve the fiscal problems attendant upon conversion to Islam. During the Umayyad period, the majority of people living within the caliphate were not Muslim, but Christian, Jewish, Zoroastrian, or members of other small groups. These religious communities were not forced to convert to Islam, but were subject to a tax (jizyah) which was not imposed upon Muslims. This situation may actually have made widespread conversion to Islam undesirable from the point of view of state revenue, and there are reports that provincial governors actively discouraged such conversions. It is not clear how Umar attempted to resolve this situation, but the sources portray him as having insisted on like treatment of Arab and non-Arab ( mawali ) Muslims, and on the removal of obstacles to the conversion of non-Arabs to Islam. Around 746, Abu Muslim assumed leadership of the Hashimiyya in Khurasan. In 747, he successfully initiated an open revolt against Umayyad rule, which was carried out under the sign of the black flag. He soon established control of Khurasan, expelling its Umayyad governor, Nasr ibn Sayyar, and dispatched an army westwards. Kufa fell to the Hashimiyya in 749, the last Umayyad stronghold in Iraq, Wasit, was placed under siege, and in November of the same year Abul Abbas as-Saffah was recognized as the new caliph in the mosque at Kufa. [ citation needed ] At this point Marwan mobilized his troops from Harran and advanced toward Iraq. In January 750 the two forces met in the Battle of the Zab, and the Umayyads were defeated. Damascus fell to the Abbasids in April, and in August, Marwan was killed in Egypt. The first four caliphs created a stable administration for the empire, following the practices and administrative institutions of the Byzantine Empire which had ruled the same region previously. These consisted of four main governmental branches: political affairs, military affairs, tax collection, and religious administration. Each of these was further subdivided into more branches, offices, and departments. However many early history books like the Islamic Conquest of Syria Fatuhusham by al-Imam al-Waqidi state that after the conversion to Islam Muawiyah I's father Abu Sufyan ibn Harb and his brothers Yazid ibn Abi Sufyan were appointed as commanders in the Muslim armies by Muhammad. Muawiyah I, Abu Sufyan ibn Harb, Yazid ibn Abi Sufyan and Hind bint Utbah       fought in the Battle of Yarmouk. The defeat of the Byzantine Emperor Heraclius at the Battle of Yarmouk opened the way for the Muslim expansion into Jerusalem and Syria. In 639, Muawiyah was appointed as the governor of Syria by the second caliph Umar after his brother the previous governor Yazid ibn Abi Sufyan and the governor before him Abu Ubaidah ibn al-Jarrah died in a plague along with 25,000 other people. 'Amr ibn al-'As was sent to take on the Roman Army in Egypt. Fearing an attack by the Romans, Umar asked Muawiyah to defend against a Roman attack. The Umayyads have met with a largely negative reception from later Islamic historians, who have accused them of promoting a kingship (mulk, a term with connotations of tyranny) instead of a true caliphate (khilafa). In this respect it is notable that the Umayyad caliphs referred to themselves not as khalifat rasul Allah ("successor of the messenger of God", the title preferred by the tradition), but rather as khalifat Allah ("deputy of God"). The distinction seems to indicate that the Umayyads "regarded themselves as God's representatives at the head of the community and saw no need to share their religious power with, or delegate it to, the emergent class of religious scholars." In fact, it was precisely this class of scholars, based largely in Iraq, that was responsible for collecting and recording the traditions that form the primary source material for the history of the Umayyad period. In reconstructing this history, therefore, it is necessary to rely mainly on sources, such as the histories of Tabari and Baladhuri, that were written in the Abbasid court at Baghdad. The Umayyad dynastic color was white, after the banner of Muawiya ibn Abi Sufyan;  it is now one of the four Pan-Arab colors which appear in various combinations on the flags of most Arab countries. Later when Umar ibn Abd al-Aziz came to power, he reduced these taxes. He is therefore praised as one of the greatest Muslim rulers after the four Rightly Guided Caliphs. Imam Abu Muhammad Adbullah ibn Abdul Hakam who lived in 829 and wrote a biography on Umar Ibn Adbul Aziz  stated that the reduction in these taxes stimulated the economy and created wealth but it also reduced the government budget and this then led to a reduction in the defense budget. The negative view of the Umayyads by Shias is briefly expressed in the Shi'a book "Sulh al-Hasan". According to Shia hadiths, which are not considered authentic by Sunnis, Ali described them as the worst Fitna. In Shia sources, the Umayyad Caliphate is widely described as "tyrannical, anti-Islamic and godless". Shias point out that the founder of the dynasty, Muawiyah, declared himself a caliph in 657 and went to war against Muhammad's son-in-law and cousin, ruling caliph Ali, clashing at the Battle of Siffin. Muawiyah also declared his son, Yazid, as a successor in breach of a treaty with Hassan, Muhammad's grandson. Another of Muhammad's grandsons, Husayn ibn Ali, would be killed by Yazid in the Battle of Karbala. Further Shia Imams, such as Muhammad's great-grandson, Ali ibn Husayn Zayn al-Abidin would be killed at the hands of ruling Umayyad caliphs. Umayyads also ordered regular cursing of Ali and his progeny in the state mosques. After killing off most of the Umayyads and destroying the graves of the Umayyad rulers apart from Muawiyah and Umar ibn Adb al-Aziz, the history books written during the later Abbasid period are more anti-Umayyad. The Abbasids justified their rule by saying that their ancestor Abbas ibn Abd al-Muttalib was a cousin of Muhammad. The books written later in the Abbasid period in Iran are more anti-Umayyad. Iran was Sunni at the time. There was much anti-Arab feeling in Iran after the fall of the Persian empire. This anti-Arab feeling also influenced the books on Islamic history. Al-Tabri was also written in Iran during that period. Al-Tabri was a huge collection including all the texts that he could find, from all the sources. It was a collection preserving everything for future generations to codify and for future generations to judge whether the histories were true or false. Abd al-Malik ibn Marwan ibn al-Hakam was the fifth Umayyad caliph, ruling from April 685 until his death. Muawiyah I was the founder and first caliph of the Umayyad Caliphate. 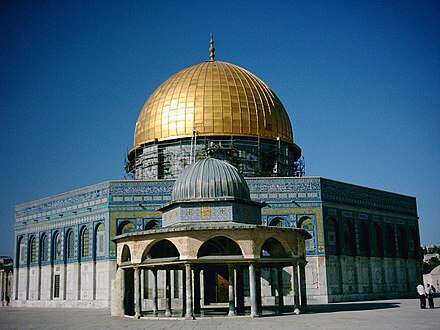 He was the first who established the Umayyad dynasty in Islam of the caliphate, and was the second caliph from the Umayyad clan, the first being Uthman ibn Affan. Marwan ibn Muhammad ibn Marwan, also called Marwan II, was an Umayyad caliph who ruled from 744 until 750 when he was killed. Much of his reign was dominated by the Third Fitna, and he was the last Umayyad ruler to rule the united Caliphate before the Abbasid Revolution toppled the Umayyad dynasty. This is a timeline of major events in the Muslim world from 601 AD to 700 AD. This is a timeline of major events in the Muslim world from 701 AD to 800 AD. Muhammad ibn Abu Bakr was the son of Abu Bakr and a companion of the Islamic prophet Muhammad. His mother was Asma bint Umays, who was a widow of Ja'far ibn Abi Talib prior to her second marriage with Abu Bakr. He became the adopted son of Ali, the first Imam of Shiite Muslims, and became one of his generals. The Banu Kalb or Kalb ibn Wabara was an Arab tribe. Prior to the Muslim conquest of Syria in the 630s, the Kalb's territory spanned much of northwestern Arabia, the Palmyrene steppe, the Samawah, the Hawran plain and the Golan Heights. One of their main centers was the desert town of Dumat al-Jandal. The Kalb became involved in the tribal affairs in the eastern frontiers of the Byzantine Empire since the 4th century and were likely the tribe of Mavia, the Bedouin queen of southern Syria. By the 6th century, the Kalb had largely become Monophysite Christians and came under the military authority of the Ghassanids, Arab vassals of the Byzantines. The Qays–Yaman rivalry refers to the historical rivalry and blood feud between the factions of the Qays and Yaman in the Arab world. The conflict first emerged among the Arab tribes that constituted the Umayyad army and administration in the 7th and 8th centuries. Membership in either faction was rooted in the genealogical origins, real or perceived, of the Arab tribes, which divided them into south Arabian descendants of Qahtan (Yaman) or north Arabian descendants of Adnan (Qays). Yamani tribes, including the Kalb, Ghassan, Tanukh, Judham and Lakhm, were well-established in central and southern Syria in pre-Islamic times, while Qaysi tribes, such as the Sulaym, Kilab and Uqayl, largely migrated to northern Syria and Upper Mesopotamia with the Muslim armies in the mid-7th century. The Third Fitna, was a series of civil wars and uprisings against the Umayyad Caliphate beginning with the overthrow of Caliph al-Walid II in 744 and ending with the victory of Marwan II over the various rebels and rivals for the caliphate in 747. However, Umayyad authority under Marwan II was never fully restored, and the civil war flowed into the Abbasid Revolution (746–750) which culminated in the overthrow of the Umayyads and the establishment of the Abbasid Caliphate in 749/50. Thus a clear chronological delimitation of this conflict is not possible. Ziyad ibn Abdallah ibn Yazid ibn Mu'awiya, commonly known as Abu Muhammad al-Sufyani, was an Umayyad nobleman and a pretender to the Umayyad Caliphate, which had been overthrown by the Abbasid Caliphate in early 750. Abu Muhammad led a revolt against the Abbasids, but his forces were defeated and he fled to Arabia, where he was killed in the early part of the Abbasid Caliph al-Mansur's reign. Abūʾl-Aʿwar ʿAmr ibn Sufyān ibn ʿAbd Shams al-Sulamī, identified with the Abulathar or Aboubacharos of the Byzantine sources, was an Arab admiral and general, serving in the armies of the Rashidun caliphs Abu Bakr, Umar and Uthman and the Muslim governor of Syria and later Umayyad caliph, Mu'awiyah I.
Jabiyah was a town of political and military significance in the 6th–8th centuries. It was located between the Hawran plain and the Golan Heights. It initially served as the capital of the Ghassanids, an Arab vassal kingdom of the Byzantine Empire. Following the Muslim conquest of Syria, it early on became the Muslims' main military camp in the region and, for a time, the capital of Jund Dimashq. Caliph Umar convened a meeting of senior Muslim figures at the city where the organization of Syria and military pay was decided. Later, in 684, Jabiyah was the site of a summit of Arab tribes that chose Marwan I to succeed Caliph Mu'awiya II. Jabiyah was often used by the Umayyad caliphs as a retreat. Its significance declined when Caliph Sulayman made Dabiq the Muslims' main military camp in Syria. The Hashemite–Umayyad rivalry was a feud between the clans of Banu Hashim and Banu Umayya, both belonging to the Meccan Arab tribe of Quraysh, in the 7th and 8th centuries. The rivalry is important as it influenced key events in the course of early Islamic history. Sufyān ibn al-Abrad al-Kalbī was a general of the Umayyad Caliphate who served under caliphs Muawiyah II, Marwan I and Abd al-Malik. He backed the latter against his own tribesmen during a coup attempt in 689. He was a key figure in securing the Umayyad hold over Iraq during the governorship of al-Hajjaj ibn Yusuf, helping the latter defeat the Kharijites in 696/97 and the rebellion of Abd al-Rahman ibn Muhammad ibn al-Ash'ath in 700/01. 1 2 Rein Taagepera (September 1997). "Expansion and Contraction Patterns of Large Polities: Context for Russia". International Studies Quarterly . 41 (3): 496. doi:10.1111/0020-8833.00053. JSTOR 2600793. ↑ "Umayyad dynasty". Britannica. Retrieved 19 May 2016. 1 2 Bukhari, Sahih. "Sahih Bukhari: Read, Study, Search Online". ↑ "Umayyad dynasty | Islamic history". Encyclopedia Britannica. Retrieved 2017-03-26. 1 2 3 H.U. Rahman , A Chronology Of Islamic History 570-1000 CE (1999), p. 128. ↑ Cavendish, Marshall (1 September 2006). World and Its Peoples. Marshall Cavendish. ISBN 9780761475712 – via Google Books. ↑ Haag, Michael (1 November 2012). The Tragedy of the Templars: The Rise and Fall of the Crusader States. Profile Books. ISBN 9781847658548 – via Google Books. ↑ "Muslim Congress". Archived from the original on 2008-02-24. Retrieved 30 June 2008. ↑ "Partial Translation of Sunan Abu-Dawud, Book 14: Jihad (Kitab Al-Jihad): Number 2659". University of Southern California. Archived from the original on 18 August 2000. ↑ A Short History of Islam: From the Rise of Islam to the Fall of Baghdad - p. 412. ↑ Lewis, Archibald Ross; Runyan, Timothy J. (1 January 1990). European Naval and Maritime History, 300-1500. Indiana University Press. ISBN 9780253205735 – via Google Books. ↑ Weston, Mark (28 July 2008). Prophets and Princes: Saudi Arabia from Muhammad to the Present. John Wiley & Sons. ISBN 9780470182574 – via Google Books. ↑ Bradbury, Jim (1 January 1992). The Medieval Siege. Boydell & Brewer. ISBN 9780851153575 – via Google Books. 1 2 Sami Ayad Hanna; George H. Gardner, eds. (1969). "Early Statements on Ishtirakiyyah". Arab Socialism. [al-Ishtirakīyah Al-ʻArabīyah]: A Documentary Survey. E. J. Brill. p. 271. GGKEY:EDBBNXAKPQ2. Retrieved 16 March 2017. ↑ Khālid, Khālid Muḥammad (5 March 2017). Men Around the Messenger. The Other Press. ISBN 9789839154733 – via Google Books. ↑ Holt, P. M.; Holt, Peter Malcolm; Lambton, Ann K. S.; Lewis, Bernard (21 April 1977). The Cambridge History of Islam: Volume 2B, Islamic Society and Civilisation. Cambridge University Press. ISBN 9780521291385 – via Google Books. ↑ Ali, Maulana Muhammad; Jeff, Mitch Creekmore (9 August 2011). The Early Caliphate. Ahmadiyya Anjuman Ishaat Islam Lahore USA. ISBN 9781934271254 – via Google Books. ↑ Madelung, Wilferd (15 October 1998). 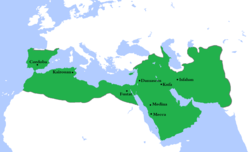 The Succession to Muhammad: A Study of the Early Caliphate. Cambridge University Press. ISBN 9780521646963 – via Google Books. ↑ Bukhari, Sahih. "Sahih Bukhari: Book of "Peacemaking"". ↑ Nakshawani, Sayed Ammar. Hujr Ibn Adi: A Victim of Terror. Sun Behind the Cloud Publications. ↑ R h o d e s, Bryan. JOHN DAMASCENE IN CONTEXT An Examination of "The Heresy of the Ishmaelites" with special consideration given to the Religious, Political, and Social Contexts during the Seventh and Eighth Century Arab Conquests (PDF). p. 105. Archived from the original (PDF) on 2011-11-17. ↑ Muhamad S. Olimat (27 August 2015). China and Central Asia in the Post-Soviet Era: A Bilateral Approach. Lexington Books. pp. 10–. ISBN 978-1-4985-1805-5. ↑ Litvinsky, B. A.; Jalilov, A. H.; Kolesnikov, A. I. (1996). "The Arab Conquest". In Litvinsky, B. A. History of civilizations of Central Asia, Volume III: The crossroads of civilizations: A.D. 250 to 750. Paris: UNESCO Publishing. pp. 449–472. ISBN 978-92-3-103211-0. ↑ Bosworth, C. E. (1986). "Ḳutayba b. Muslim" . In Bosworth, C. E.; van Donzel, E.; Lewis, B.; Pellat, Ch. The Encyclopaedia of Islam, New Edition, Volume V: Khe–Mahi. Leiden: E. J. Brill. pp. 541–542. ISBN 90-04-07819-3. ↑ Gibb, H. A. R. (1923). The Arab Conquests in Central Asia. London: The Royal Asiatic Society. pp. 48–51. OCLC 685253133. ↑ Christopher I. Beckwith (28 March 1993). The Tibetan Empire in Central Asia: A History of the Struggle for Great Power Among Tibetans, Turks, Arabs, and Chinese During the Early Middle Ages. Princeton University Press. pp. 88–89. ISBN 978-0-691-02469-1. ↑ Insight Guides (1 April 2017). Insight Guides Silk Road. APA. ISBN 978-1-78671-699-6. ↑ Neal Robinson, Islam: A Concise Introduction, (RoutledgeCurzon, 1999), 22. 1 2 3 Ochsenwald, William (2004). The Middle East, A History. McGraw Hill. p. 57. ISBN 978-0-07-244233-5. ↑ The Mining, Minting, and Acquisition of Gold in the Roman and Post-Roman World, Fernando Lopez Sanchez, Ownership and Exploitation of Land and Natural Resources in the Roman World, ed. Paul Erdkamp, Koenraad Verboven, and Arjan Zuiderhoek, (Oxford University Press, 2015), 324. ↑ Ochsenwald, William (2004). The Middle East, A History. McGraw Hill. pp. 55–56. ISBN 978-0-07-244233-5. ↑ Ochsenwald, William (2004). The Middle East, A History. McGraw Hill. p. 56. ISBN 978-0-07-244233-5. ↑ Madelung, Wilferd (1998). The Succession to Muhammad A Study of the Early Caliphate. Cambridge University Press. ISBN 978-0-521-64696-3. ↑ Lewis, Archibald Ross (1985). European Naval and Maritime History, 300-1500. Indiana University Press. p. 24. ISBN 978-0-253-32082-7. ↑ Kroll, Leonard Michael (2005). History of the Jihad Islam Versus Civilization. AuthorHouse. p. 123. ISBN 978-1-4634-5730-3. ↑ Gregory, Timothy E. (2011). A History of Byzantium. John Wiley & Sons. p. 183. ISBN 978-1-4443-5997-8. ↑ Weston, Mark (2008). Prophets and Princes Saudi Arabia from Muhammad to the Present. John Wiley & Sons. p. 61. ISBN 978-0-470-18257-4. ↑ Bradbury, Jim (1992). The Medieval Siege. Boydell & Brewer. p. 11. ISBN 978-0-85115-357-5. ↑ Hathaway, Jane (2012). A Tale of Two Factions: Myth, Memory, and Identity in Ottoman Egypt and Yemen. SUNY Press. p. 97. ISBN 9780791486108. ↑ Choueiri, Youssef M. (15 April 2008). A Companion to the History of the Middle East. John Wiley & Sons. ISBN 9781405152044 – via Google Books. ↑ "Student Resources, Chapter 12: The First Global Civilization: The Rise and Spread of Islam, IV. The Arab Empire of the Umayyads, G. Converts and 'People of the Book'". occawlonline.pearsoned.com. Archived from the original on 21 May 2002. ↑ Shaykh Radi Aal-yasin (2000). "Mu'awiya And The Shi'a Of 'Ali, Peace Be On Him". Sulh Al-Hasan. Ansariyan Publishers. pp. 297–344. ISBN 978-1-4960-4085-5. Archived from the original on 20 January 2004. ↑ "Sermon 92: About the annihilation of the Kharijites, the mischief mongering of Umayyads and the vastness of his own knowledge". 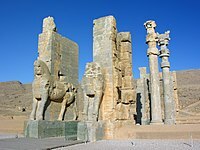 nahjulbalagha.org. Archived from the original on 19 August 2007. ↑ Sharon, Moshe (1983). Black Banners from the East: The Establishment of the ʻAbbāsid State : Incubation of a Revolt. JSAI. ISBN 9789652235015. ↑ Khan, M. A. (2009-01-29). Islamic Jihad: A Legacy of Forced Conversion, Imperialism, and Slavery. iUniverse. ISBN 9781440118487. ↑ "Bible". 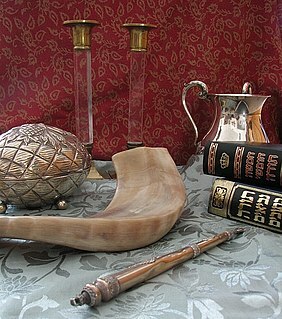 biblegateway.com. Retrieved 20 April 2017. ↑ `Abdu'l-Bahá (1990) . Some Answered Questions. Wilmette, Illinois: Bahá'í Publishing Trust. p. 69. ISBN 978-0-87743-190-9. ↑ `Abdu'l-Bahá (1990) . Some Answered Questions. Wilmette, Illinois: Bahá'í Publishing Trust. p. 51. ISBN 978-0-87743-190-9. ↑ McAuliffe, Jane Dammen (2006). The Cambridge Companion to the Qur'an. Cambridge University Press. p. 166. ISBN 978-0-521-53934-0. ↑ Badiozamani, Badi; Badiozamani, Ghazal (2005). Iran and America Re-Kind[l]ing a Love Lost. East West Understanding Press. p. 118. ISBN 978-0-9742172-0-8. Wikimedia Commons has media related to Umayyad Caliphate .